Crime scene investigator Pamela Kinney heard the bad guys outside her house and smelled smoke, but it wasn’t until morning that she realized they’d burned the flag that covered her daughter’s casket. Her police colleagues called it a small crime, but to her, it wasn’t. She had to solve it, and she had to solve it now. 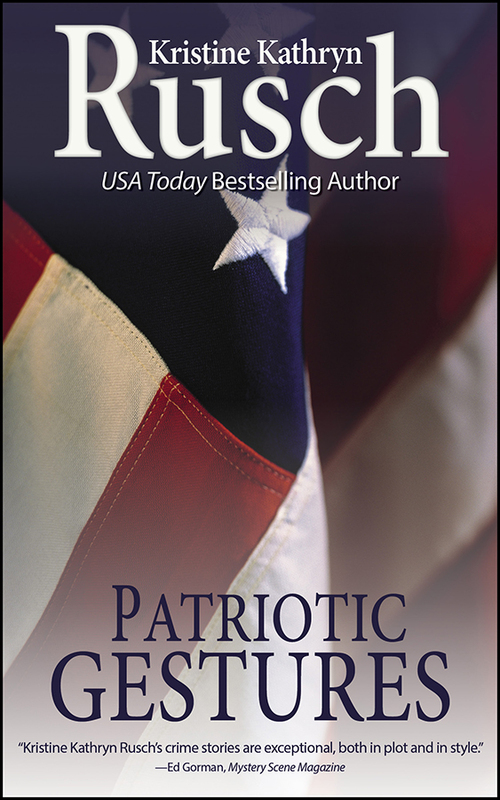 Chosen as one of the best mystery stories of 2009, “Patriotic Gestures” explores the fine lines that run through American culture, and sometimes through Americans themselves.